Falling for an email scam – known as phishing – can happen to even the most vigilant Web user. Cyber criminals continue to up the ante with ever more sophisticated scams, so it’s not really a question of IF it will happen to you, but rather WHEN it will happen, and HOW you will respond to the threat. Follow these steps to help protect your online interactions. If you have provided any personal information or passwords in response to a phishing scam change ALL your passwords immediately. This includes email accounts, online accounts, bank accounts and debit card PIN numbers. In your mind these various accounts may not feel connected, but to criminals with intent to steal your money, everything is linked, and it doesn’t take long for them to unravel the chain and have access to your entire on-line life. Replace your old passwords with new, complicated versions that feature a mix of letters, numbers, and symbols. If it’s harder for you to remember them, imagine how difficult it will be for someone else to decode and use them against you. If you think your computer may be infected with a virus or other malware inadvertently picked up while web surfing or as the result of a social media scam, update your security software to the newest version, and run a complete virus scan. To protect your system, both before and after an attack, make sure to have a firewall enabled, which prevents unauthorized users from accessing your Internet connected computer and network and forms a protective shield when attempts are made to access the information on your system. Additionally, you should use encryption whenever possible, especially when sending data of a personal nature to a website. How do you know if the site you are communicating with uses encryption? Look for the green padlock icon in the URL bar, and note if the Web address includes an “s” – as in “https./” to ensure your transactions are secured and encrypted. Notify at least one of the three major credit agencies (TransUnion, Equifax, Experian) and let them know that your account has potentially been compromised. Request a fraud alert on your account until the incident has been resolved. Even if your credit cards do not yet have fraudulent charges, you might consider freezing or canceling them to prevent unauthorized use. Make your credit union aware of the incident to further protect your credit line. Each time you receive a credit card or bank statement, review the transactions to make sure fraudulent activity isn’t happening. A monthly scan of your transactions is probably the easiest way to keep your finances safe. Finally, if you become the victim of a phishing scam, report it! This site, monitored by the FBI, allows you to report an Internet crime complaint and give specific details about the tactics used to victimize you. This site lists multiple means of reporting virtually any type of fraud. This well-respected and highly trusted organization takes fraud seriously. An excellent place to warn others about scams. The NCL provides not only a place to report scams and complaints, but also offers excellent advice and articles about current scams and other types of financial fraud. Keeping your personal information safe is top priority. 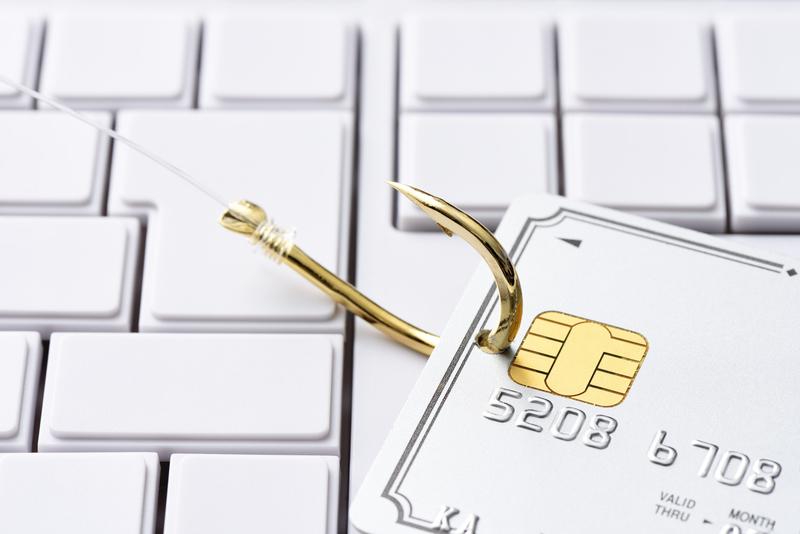 Using a combination of the suggested tactics, both before and after a phishing scam, could prevent your identity from being stolen or your credit from being damaged. Remember to back up your personal information at least once a month onto an external hard drive for safekeeping, and try to avoid using public WiFi. If you must access public WiFi, try to select a more secure version, such as VPN (Virtual Private Network.) And if you do nothing else, remember to power off your computer when not in use. Your computer and its information is completely inaccessible to cyber criminals when it is powered down.